"All The Mermaids In The Sea" is a remarkably lovely tale that pays homage to and expands the kingdom of Denmark's treasured and beloved Little Mermaid. Robert W. Cabell has created an epic new world of mermaid adventures that will bring every child sweet dreams and every grown-up secret smiles. A unique fairy tale! 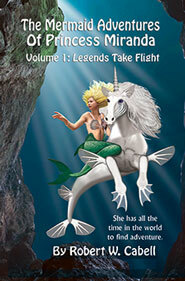 The elves of Iceland believe a powerful magic they need magic was lost with the fall of Atlantis. 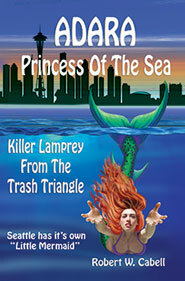 But a young mermaid princess believes anything is possible with the help of her magical friends. 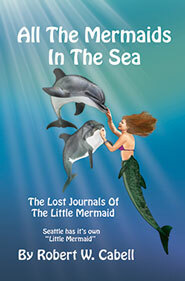 "For those who love mermaids, this book is not a fairytale, it's a dream come true." I am Princess Adara, the granddaughter of the immortal Little Mermaid. My parents were killed the day I was born, but the evil Sea Hag. I was left an orphan and raised on land until my thirteenth birthday, when I became a mermaid. Now, five years later I must return to my old life as Pearl Thorsen, to sail with the world's most promising students in oceanographic studies. 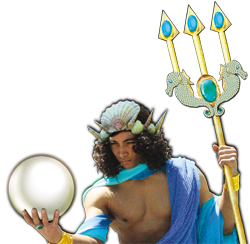 With their help, I must create a new relationship between man and merfolk. Together we must forge a future where the sloth and greed of pollution has no place on the land or in the sea. 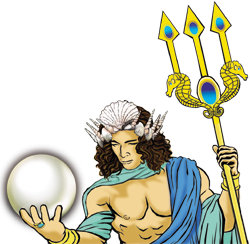 Oceanus, first born Titan and creator of the Oceans and all the life within, gave sanctuary to Poseidon and Zues, and Hades, during the battle of the Titans and the Olympians. 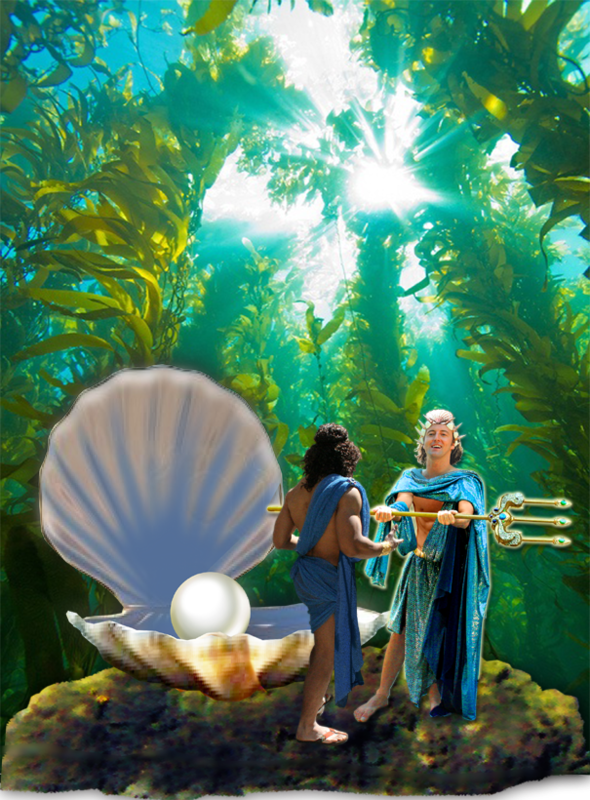 And when the younger gods were victorious, he gave his mighty trident, his pearl throne and his crown to Poseidon to rule the oceans for all eternity. 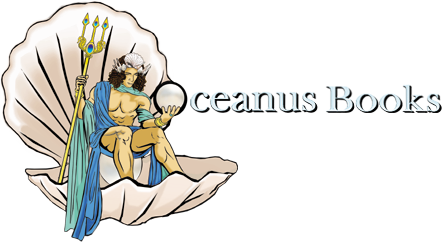 Oceanus Books reaches back to the beginning of time, when the words courage and hero were being defined. 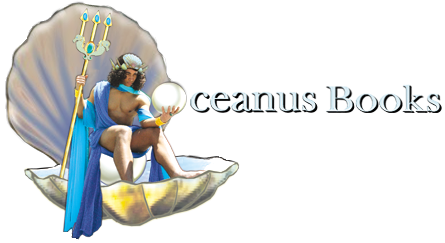 We endeavor to create the finest stories based on the greatest myths and legends and heroes, from the rise of creation and the consequences of eternal love. Mythic books, art, and fragrances that free your imagination and let your spirits soar.